The first teaser trailer for J.J. Abrams’ Episode IX just debuted during Star Wars Celebration in Chicago, revealing the title of the final film in the Skywalker saga: Star Wars: The Rise of Skywalker. 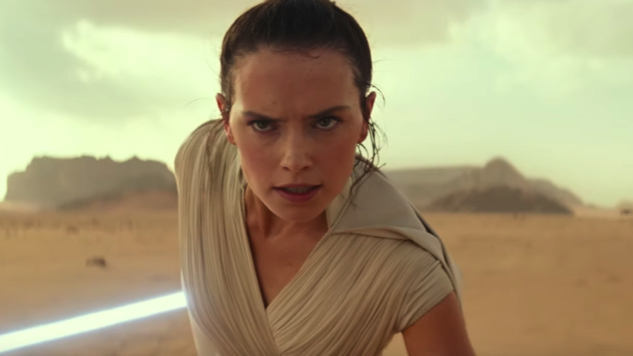 The brief teaser, the debut of which capped off a Stephen Colbert-hosted Q&A with the film’s cast, is a breathtaking clip set to a Mark Hamill voiceover that centers Daisy Ridley’s Rey as a new generation’s foremost Jedi legend. Other standout moments include the return of Billy Dee Williams as Lando Calrissian, a tearjerking fragment of the late Carrie Fisher’s final turn as Leia, and the menacing laugh of the franchise’s ultimate villain. Disney CEO Bob Iger told Bloomberg Thursday that the Star Wars franchise will go on “hiatus” after Episode IX, allowing audiences a breather after the final chapter in its trilogy of trilogies. Watch the teaser below. The Rise of Skywalker begins on Dec. 20.